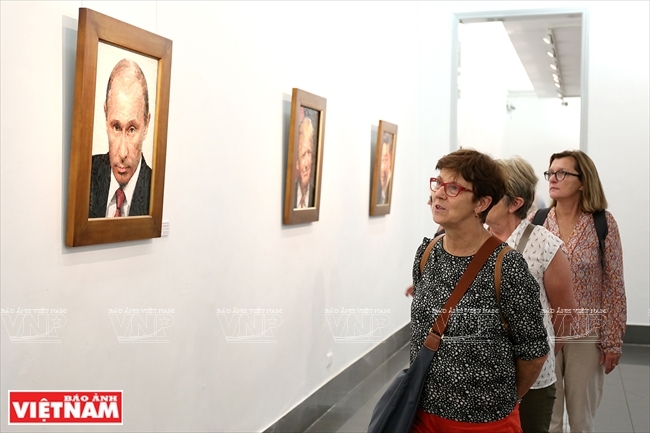 An exhibition of mosaic ceramic paintings of leaders attending APEC Economic Leaders’ Meeting 2017 was recently held at the Vietnam Fine Arts Museum in Hanoi. The event aims to celebrate the success of the 2017 APEC Economic Leaders’ Week, which took place in Da Nang in Vietnam, from November 6-11. 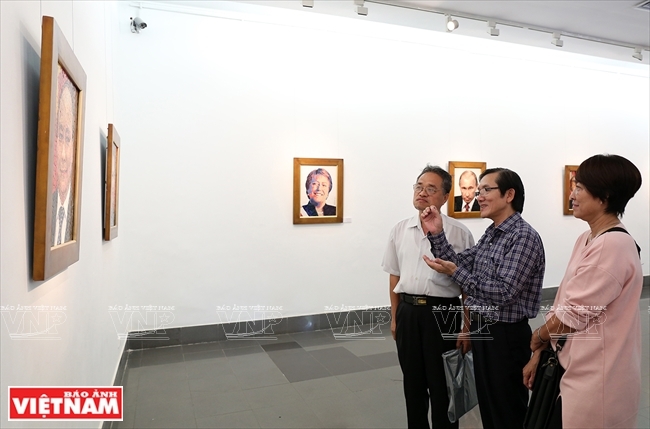 The exhibition displayed the portraits of 21 APEC 2017 leaders which were grafted from ceramic pieces from Dong Nai province, as well as the portraits of President Ho Chi Minh, General Vo Nguyen Giap, Vietnamese Party General Secretary Nguyen Phu Trong, Prime Minister Nguyen Xuan Phuc and Chairwoman of the National Assembly Nguyen Thi Kim Ngan. Painter Mai Van Nhon was born in Dong Nai – one of the pottery cradles in South Vietnam. 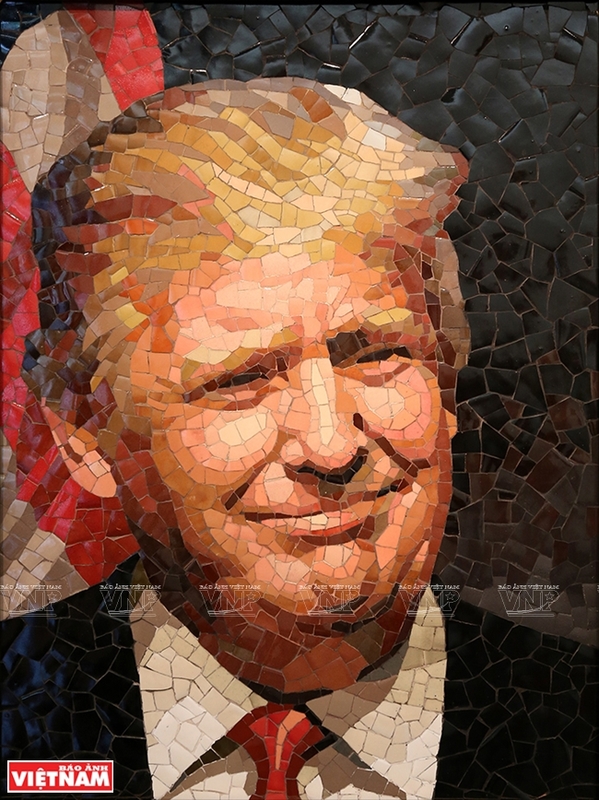 He successfully applied colour ceramics from local materials to portraits using mosaic (an art form of decoration - creating images from a collection of small pieces). For this genre, grafting portraits is considered the most difficult and only a few artists can master the technique. 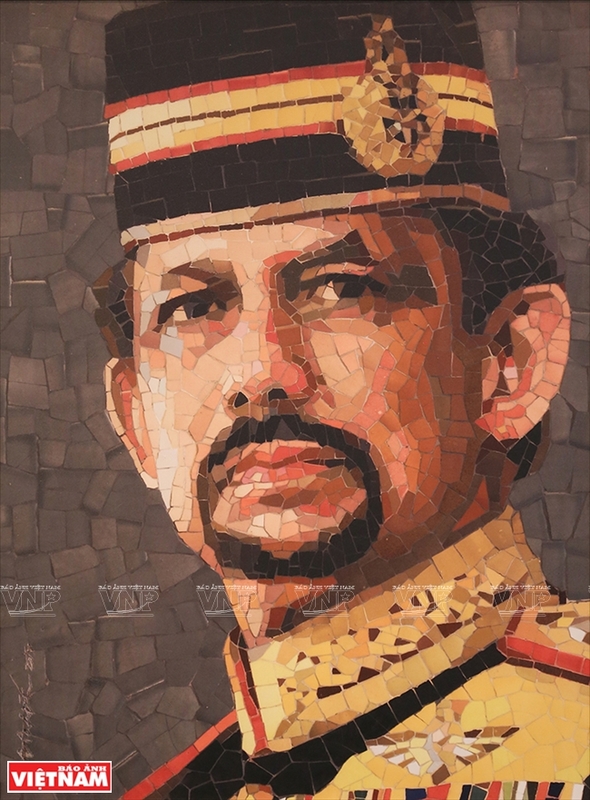 To create beautiful portraits, depicting the nuances of each leader, the painters and artisans had to cut colourful ceramics of diverse enamels that were baked at high temperatures of about 1,200oC into small pieces and then skillfully grafted them. They also designed the frames with harmonious colours, contributing to highlighting the beauty and solemnity of the paintings. 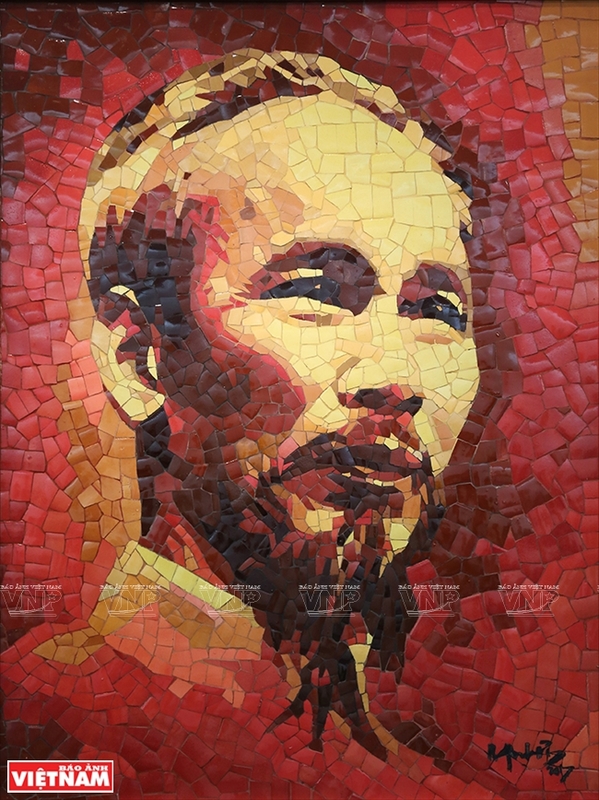 The portrait of President Ho Chi Minh. 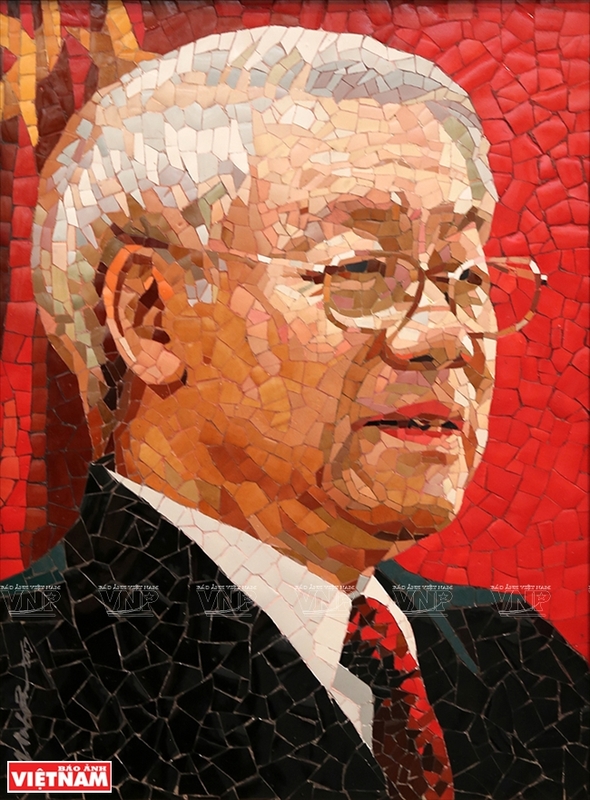 The portrait of Party General Secretary Nguyen Phu Trong. 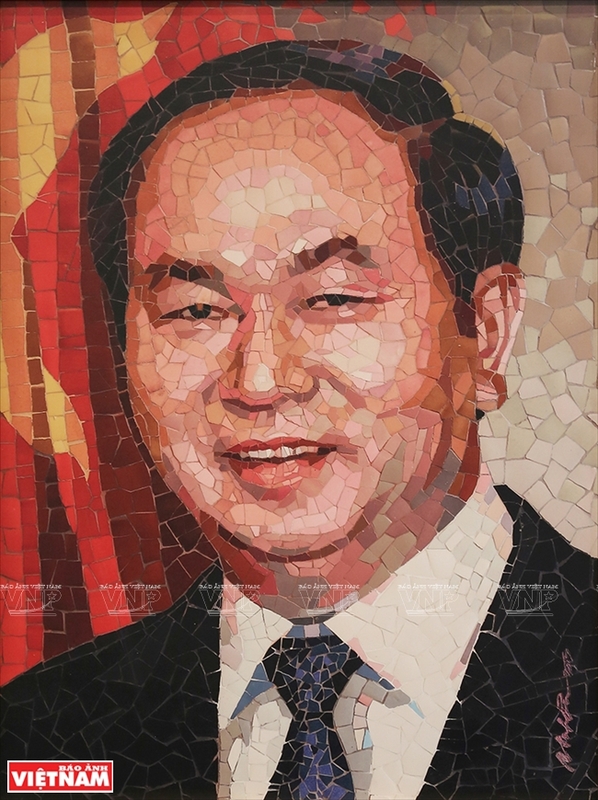 The portrait of State President Tran Dai Quang. 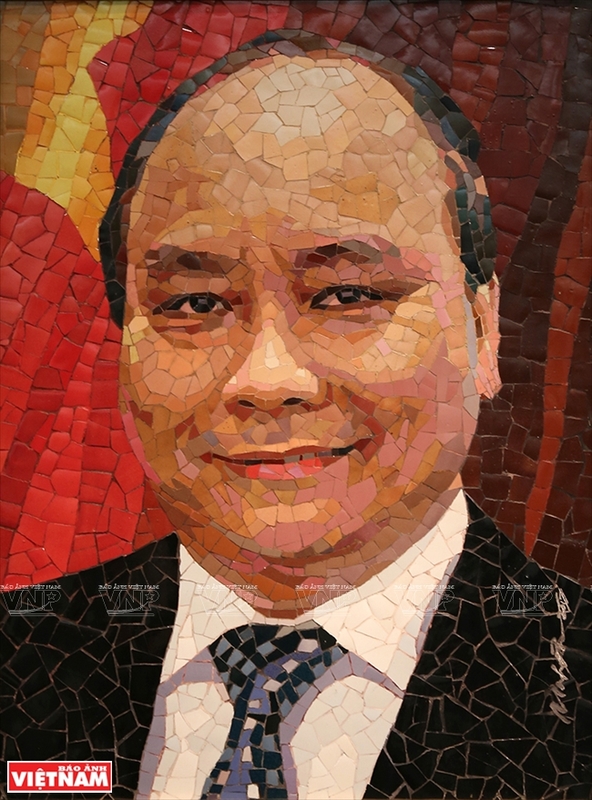 The portrait of Prime Minister Nguyen Xuan Phuc. 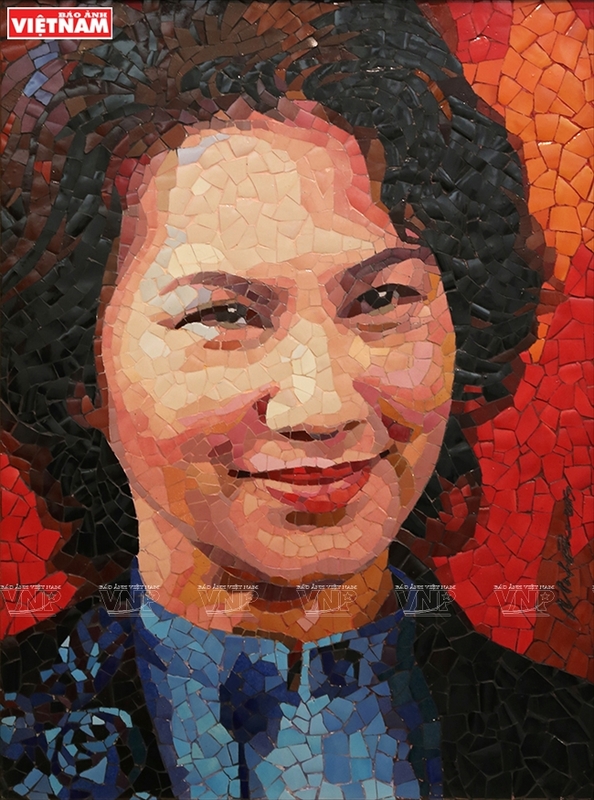 The portrait of National Assembly Chairwoman Nguyen Thi Kim Ngan. 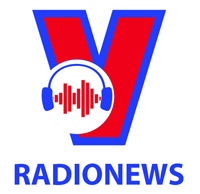 According to Nguyen Truong Son, head of the exhibition organising board, the collection is appreciated in terms of quality and aesthetics by the relevant authorities and experts. At the recently-concluded APEC 2017 Economic Leaders’ Meeting, Prime Minister Nguyen Xuan Phuc presented some paintings from the collection as gifts for several leaders. 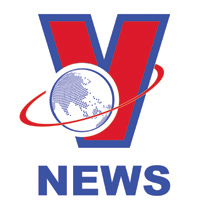 The rest will be presented to other leaders through the embassies of the countries and territories in Vietnam. 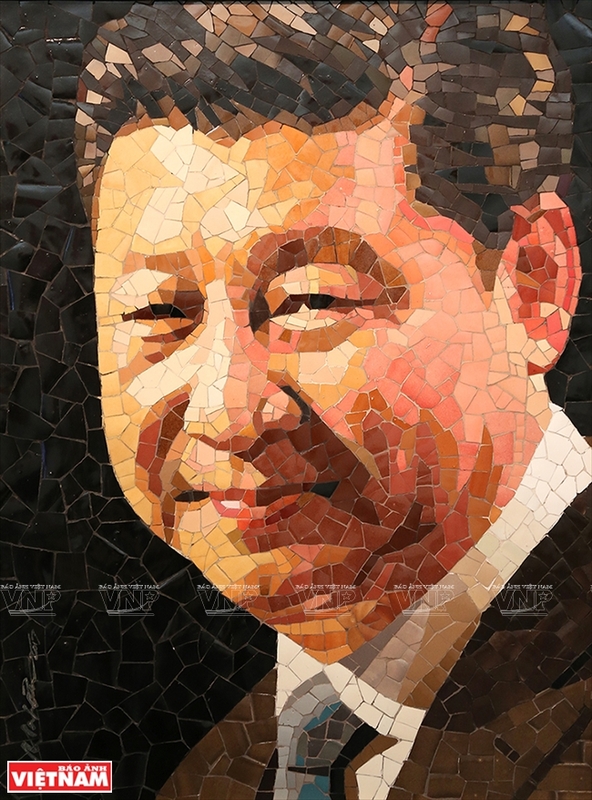 The portrait of Chinese Party General and President Xi Jinping. The portrait of US President Donald Trump. 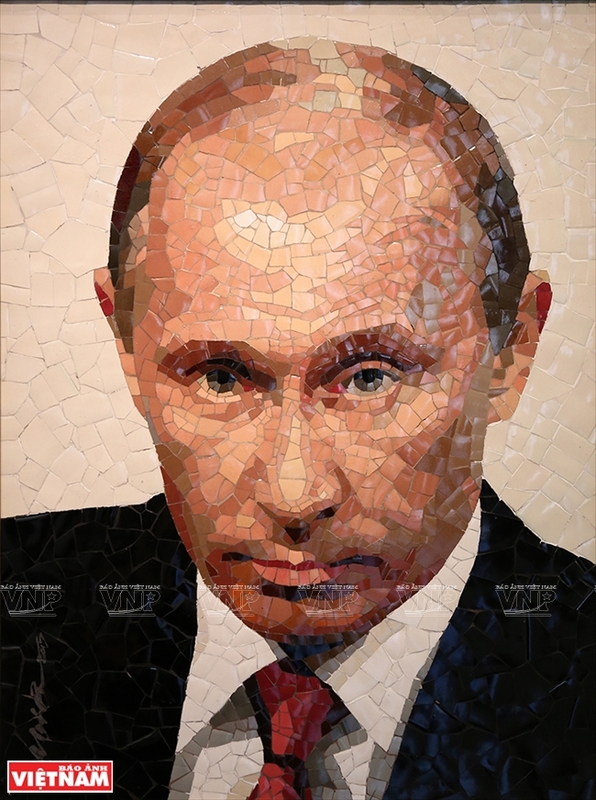 The portrait of Russian President Vladimir Putin. 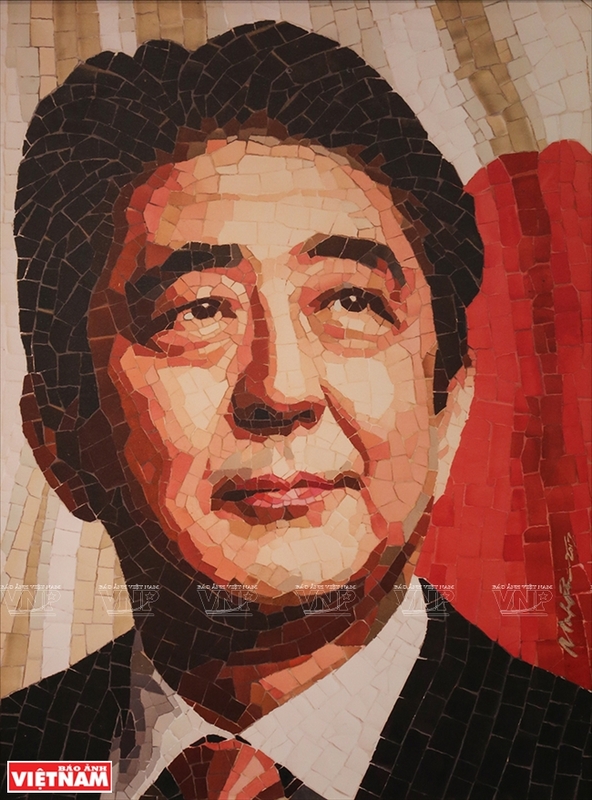 The portrait of Japanese Prime Minister Shinzo Abe. 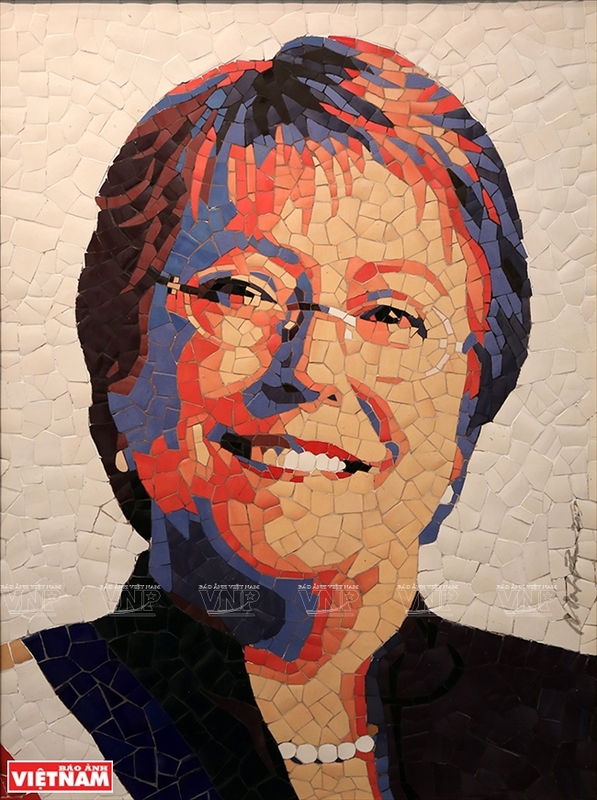 The portrait of Chilean President Michelle Bachelet. 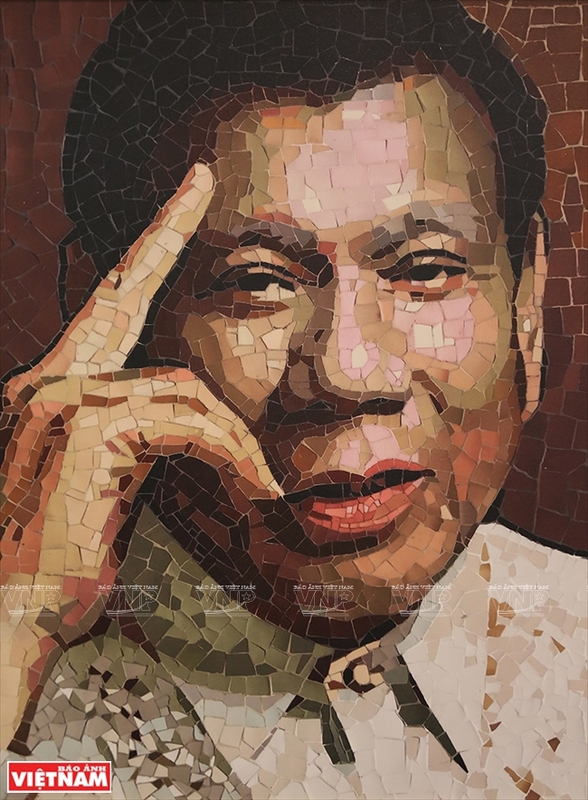 The portrait of the Philippine President Rodrigo Duterte. 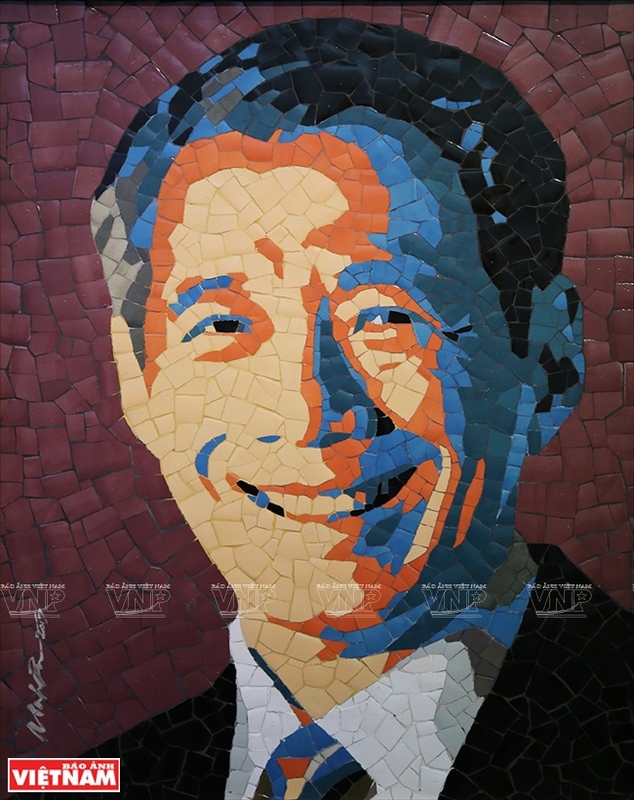 The portrait of Singaporean Prime Minister Lee Hsien Loong. 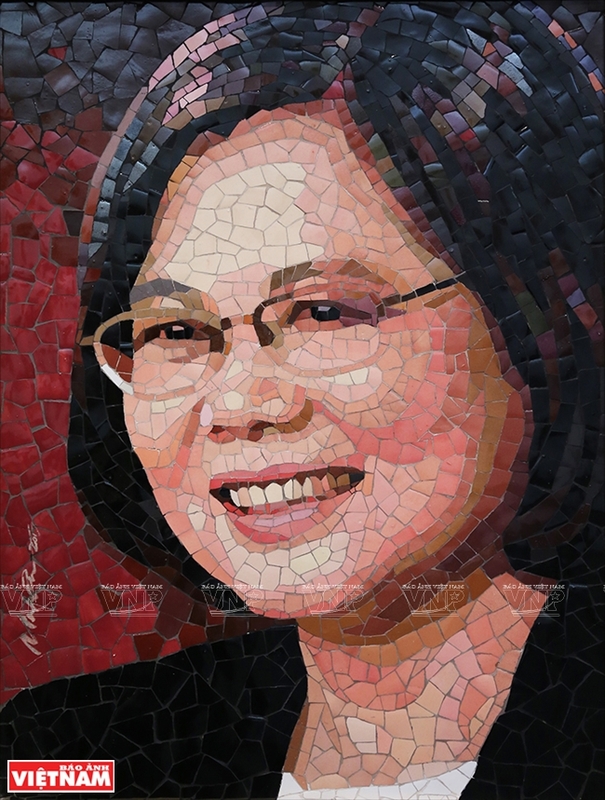 The portrait of Taiwan leader Tsai Ing-wen. 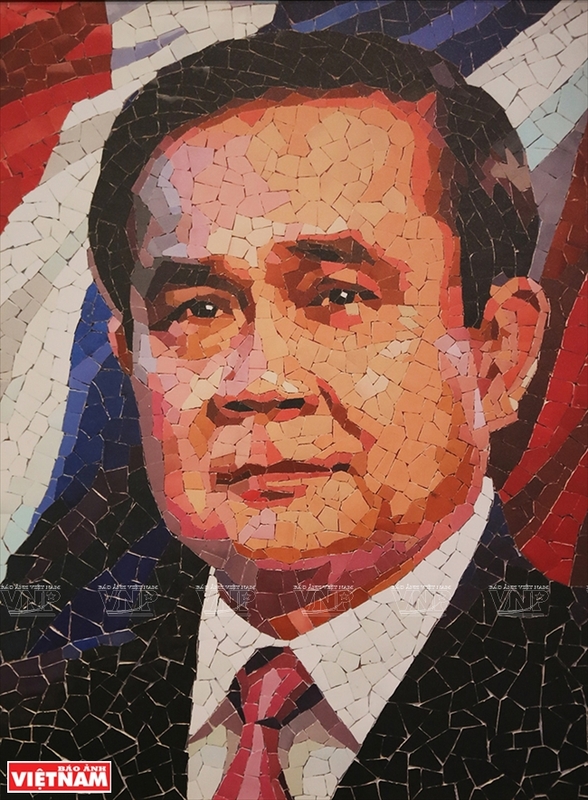 The portrait of Thai Prime Minister Prayuth Chan O’cha. 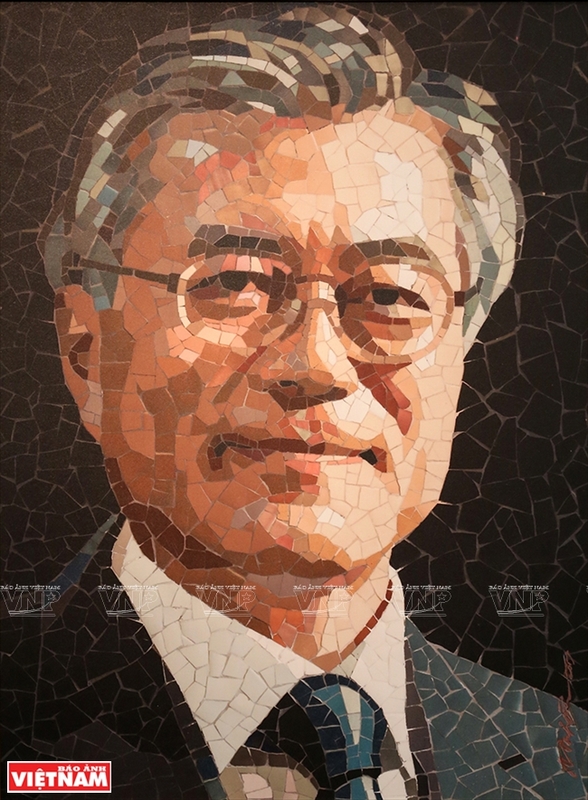 The portrait of South Korean President Moon Jea-in. 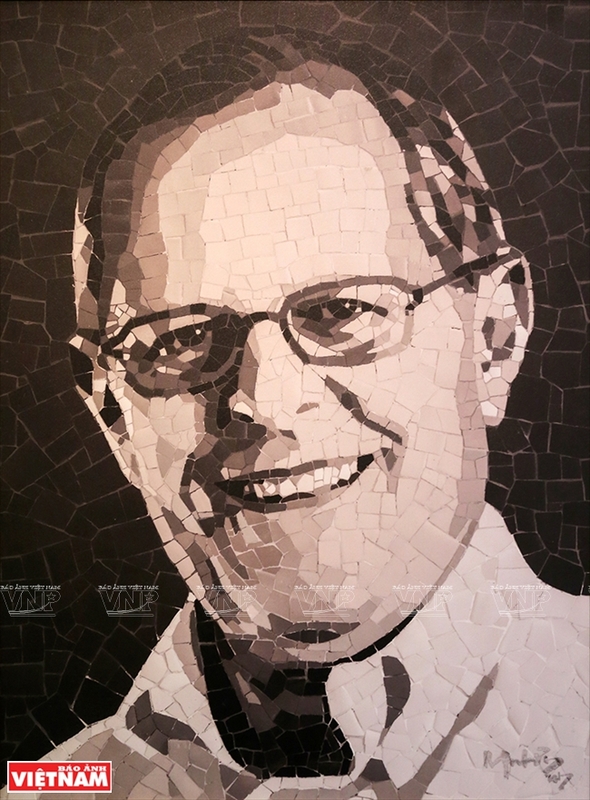 The portrait of Peruvian President Pedro Bablo Kuczynski. 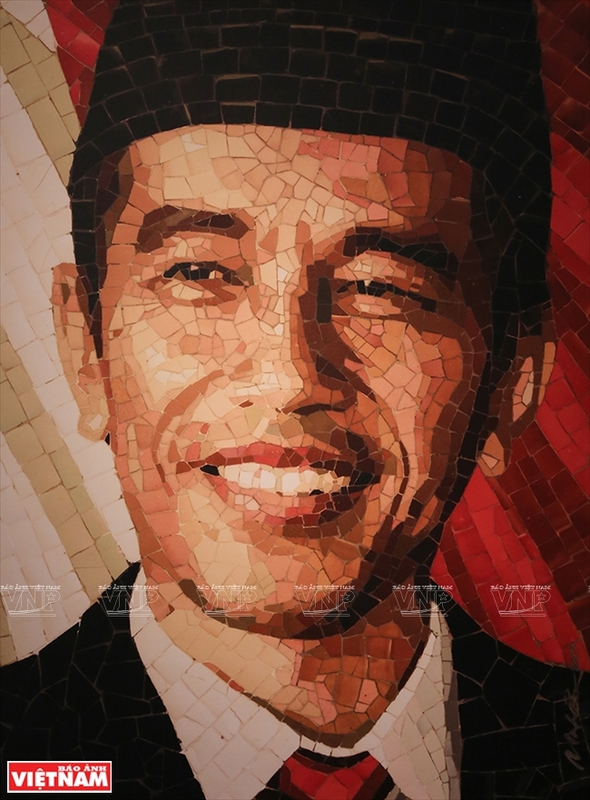 The portrait of Indonesian President Juko Windodo. 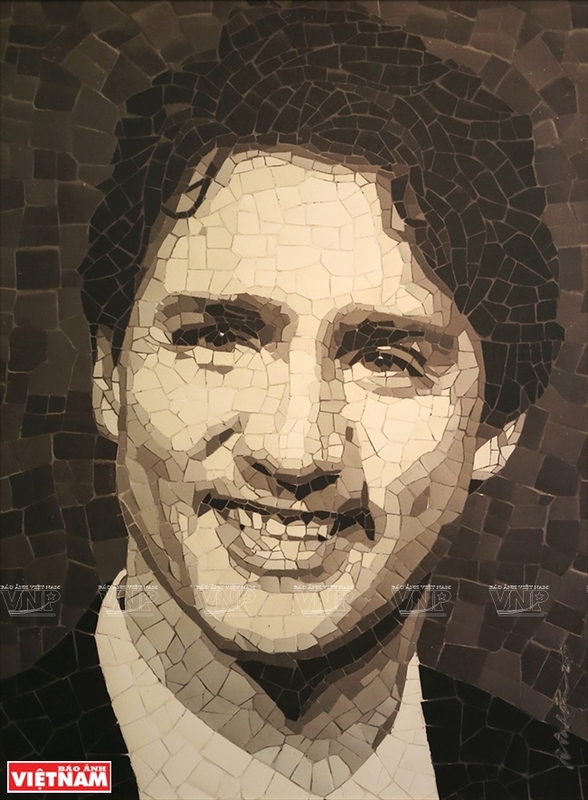 The portrait of Canadian Prime Minister Justin P.J.Trudeau. 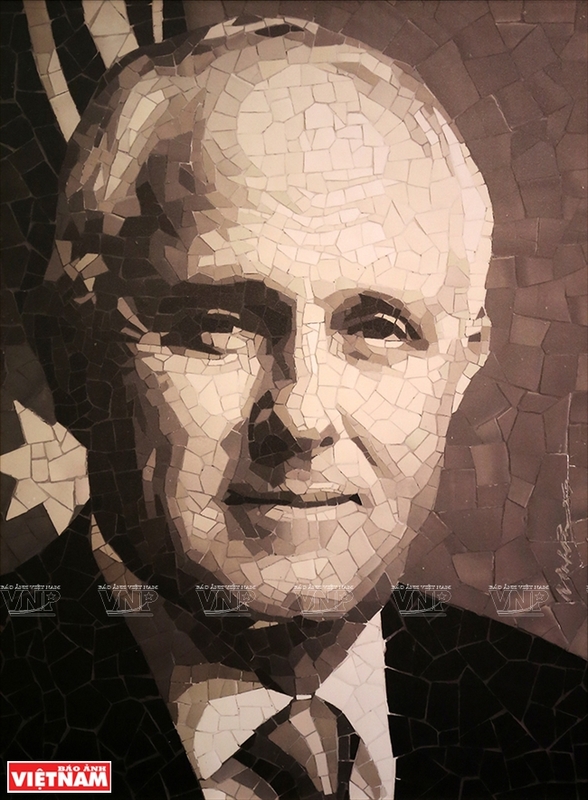 The portrait of Australian Prime Minister Malcolm Turnbull. 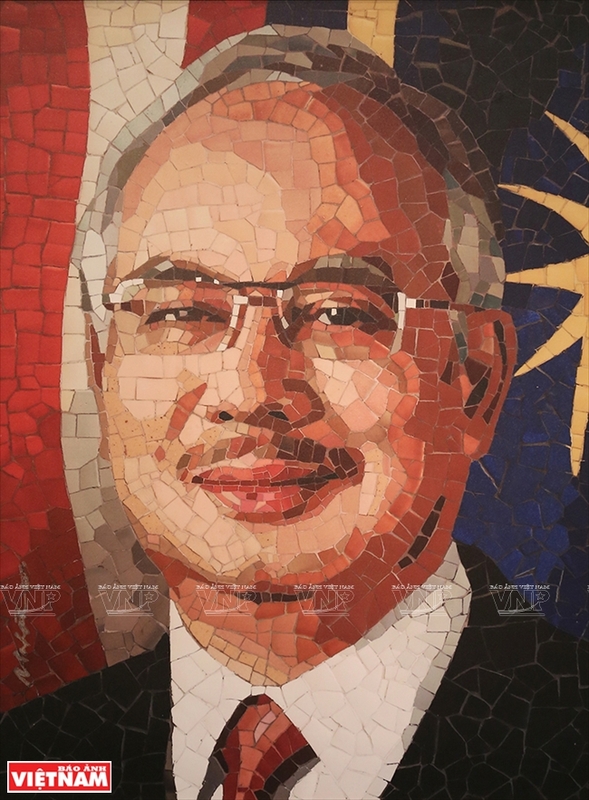 The portrait of Malaysian Prime Minister Dato’s Sri Najib Razak. 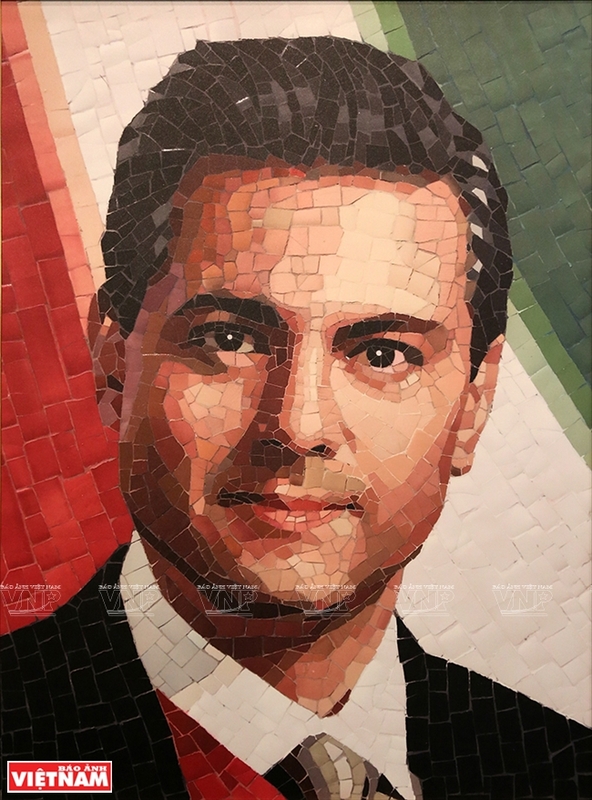 The portrait of Mexican President Enrique Pena Nieto. 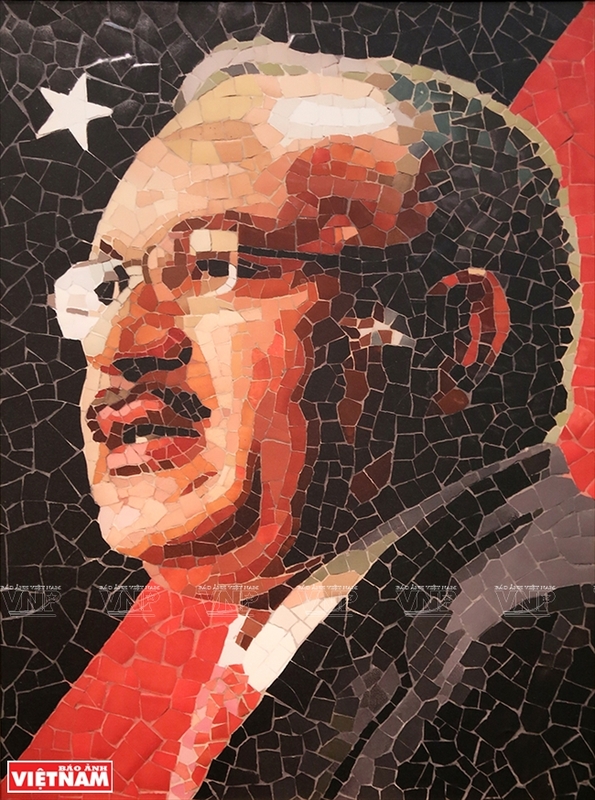 The portrait of Papua New Guinea's Prime Minister Peter O'Neill. 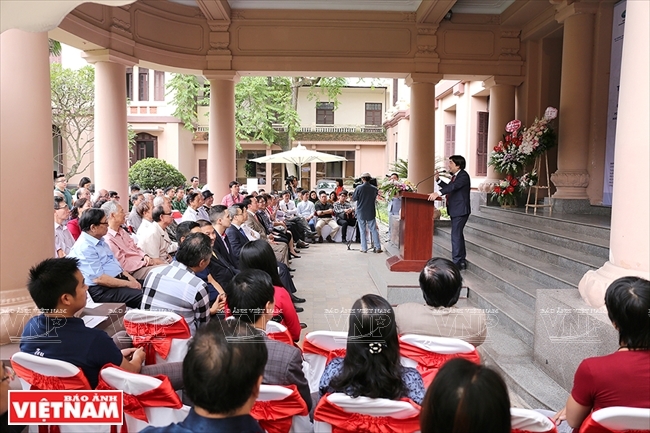 The opening ceremony of the exhibition. Painter Mai Van Nhon talks with viewers. The exhibition attracts a large number of people .